Nutrition is extremely important in pregnancy. Apparently, quite a few women go into pregnancy, or go throughout the span of their entire pregnancy, lacking important nutrients. Before I got pregnant, I always wondered why this was the case, but now that I’m in month four of my pregnancy, I realize that it’s not very easy to eat healthy. Between battling with first trimester nausea at first, awful acid reflux over the past couple of weeks, and having weird aversions here and here, it’s pretty hard to eat a nutrient-dense diet all the time. Of course, I go through periods of time where I’m able eat whatever, whenever, and when that happens, I always opt to eat as nutrient dense as possible by choosing options that are fresh and in-season. When I shop, I always search for Fresh From Florida produce because Florida Farmers make it easy, peasy for us to eat fresh year-round. My point of all of this is that if you eat in-season and fresh produce, you are getting more nutrients vs. produce that is old and not in-season. Plus, the in-season stuff is much tastier! My goal throughout this pregnancy is to be as healthy as possible and to hopefully not lack in the nutrient area, like so many others (pregnant AND not pregnant do). 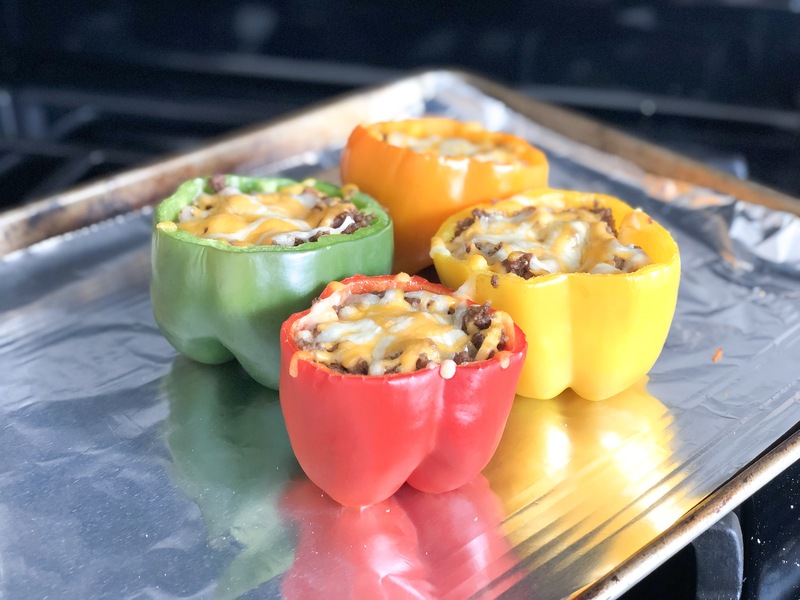 So, when we decided to try out a stuffed bell pepper recipe, we searched the grocery store, in order to find the perfect pepper (try saying that 20 times fast! ), and found some Fresh From Florida peppers since they are now in-season there (sweet corn and squash is also currently in season!). 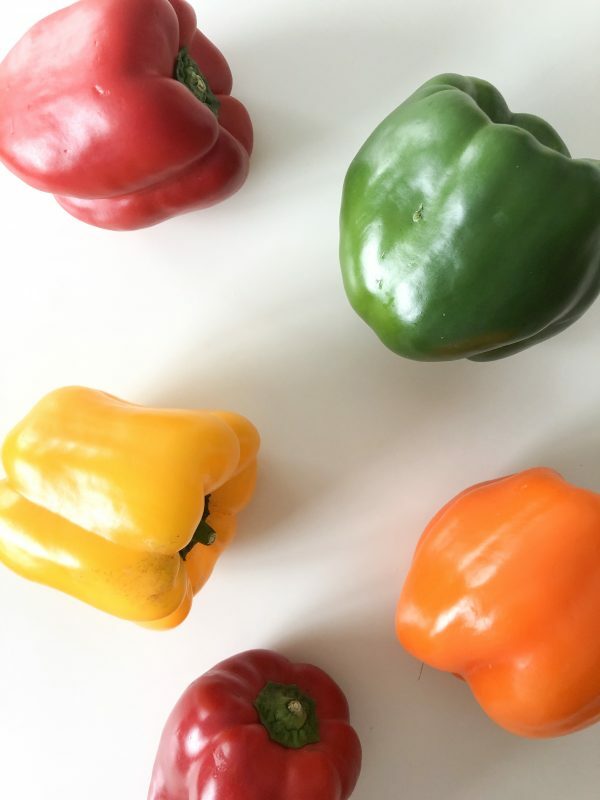 Freshness and in-season talk aside, Ian is very picky when it comes to his bell peppers. He has to get peppers that have four little knobs on the bottom, instead of three. This way, he can stand the peppers up and get them to look better. I’ve tried to purchase ‘not so perfect’ peppers in the past, but he always puts them back and grabs different ones, ha! 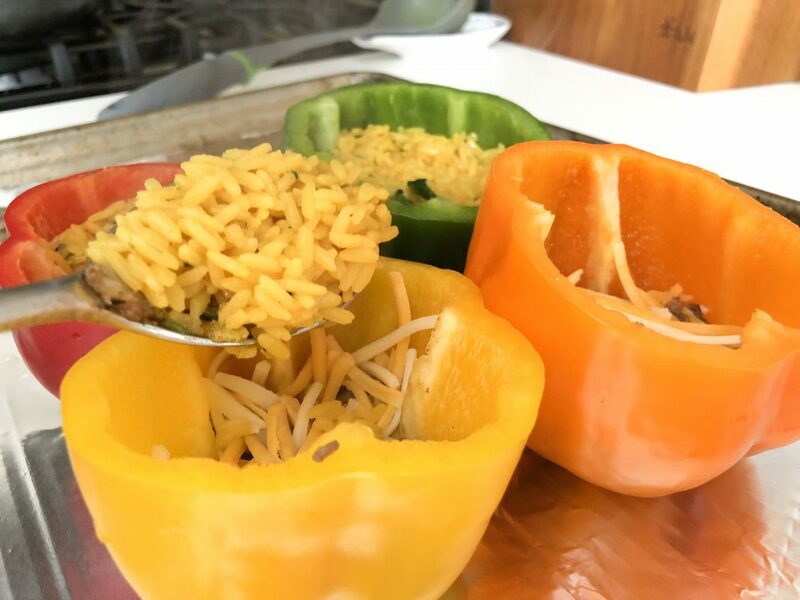 But, when it comes down to it, if he can make stuffed peppers that taste THIS good every week, I’d buy all of the Fresh From Florida peppers (with four knobs) – seriously. They were amazing! We made them last weekend and by Tuesday, I already ate four of them. If you follow me on Instagram, you might have seen my stories about how good they are! Cut the tops off the peppers and clean out the seeds from inside. Cut up your onion and throw it in a saucepan with 1 teaspoon of olive oil. Saute until translucent. 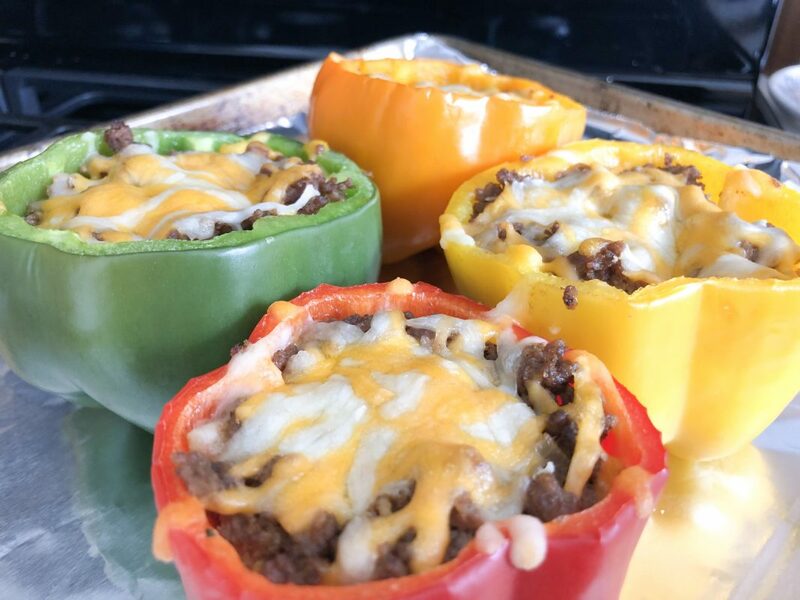 Add in your ground beef, generously cover with taco seasoning, and cook until brown. Cook 1 cup of dry spanish rice according to the package. About 5 minutes before it is done, add in a handful of fresh Cilantro. 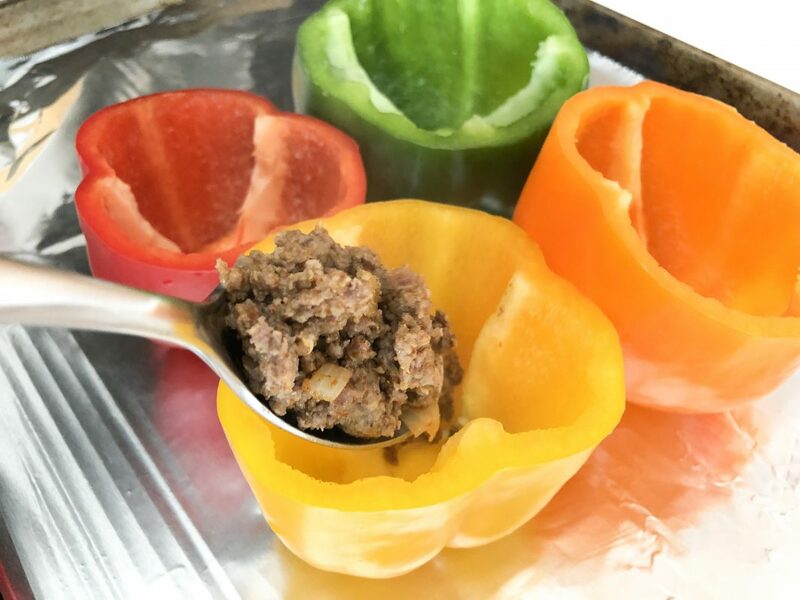 When everything is done cooking, start filling your bell peppers. Layer in this order: beef, cheese, rice, beef, cheese rice, beef, and cheese. Sprinkle with salt when they come out of the oven. There you have it! 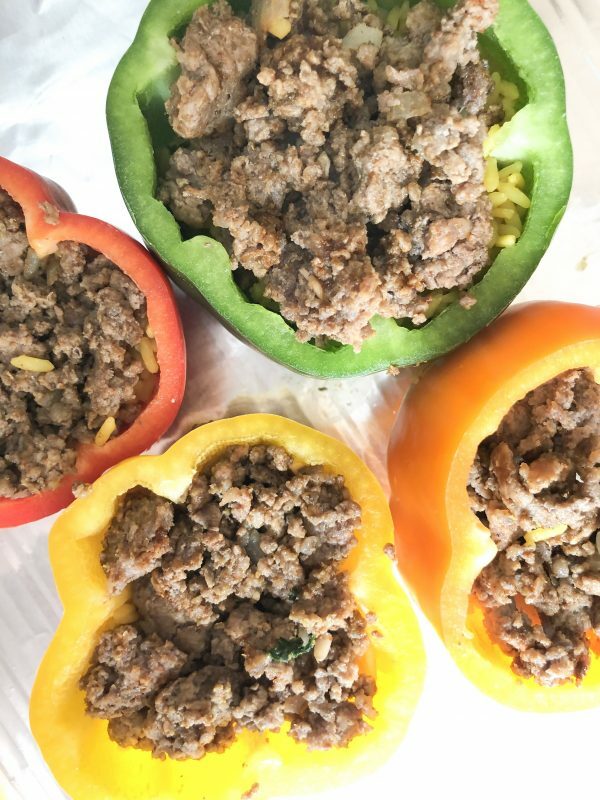 The best stuffed pepper recipe that you’ll ever try and guess what?! It is easy too! 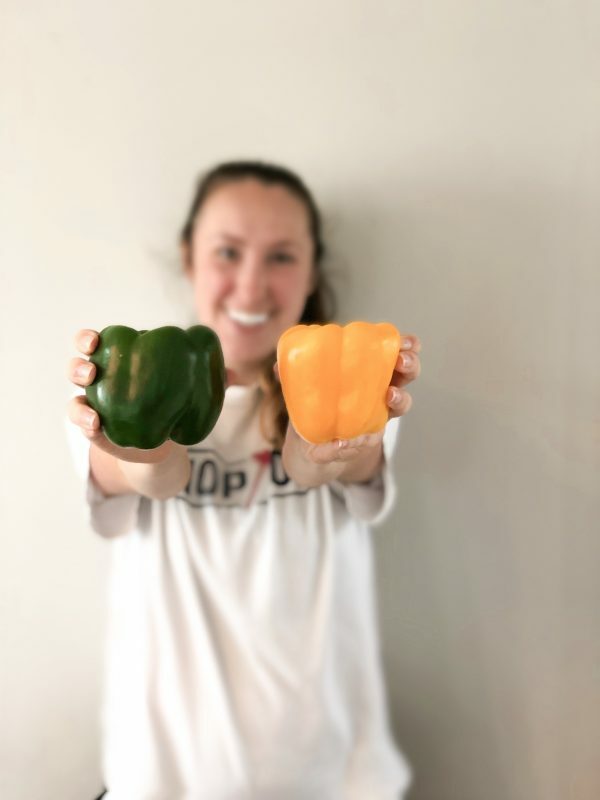 When you shop for your bell peppers in your local store, look for Fresh From Florida options and as always, don’t forget to Follow the Fresh on social media to check out their Fresh! recipe videos. You can also find more pepper recipes from Fresh From Florida here.